I played golf earlier in the day and Sunday was Mother's Day, so this was my only chance to get out on this weekend. 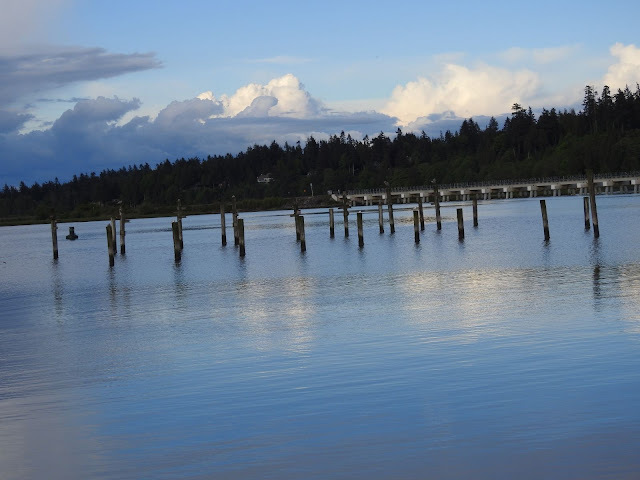 Blackie Spit at Crescent Beach is only 15 - 20 minutes away from home, so I made a quick visit after dinner. I was hoping to see some Eurasian Wigeon, even though it's late in the year for them. However, there was no wildlife on the spit, so I moved over the the Nature area on the southeast side of the park. 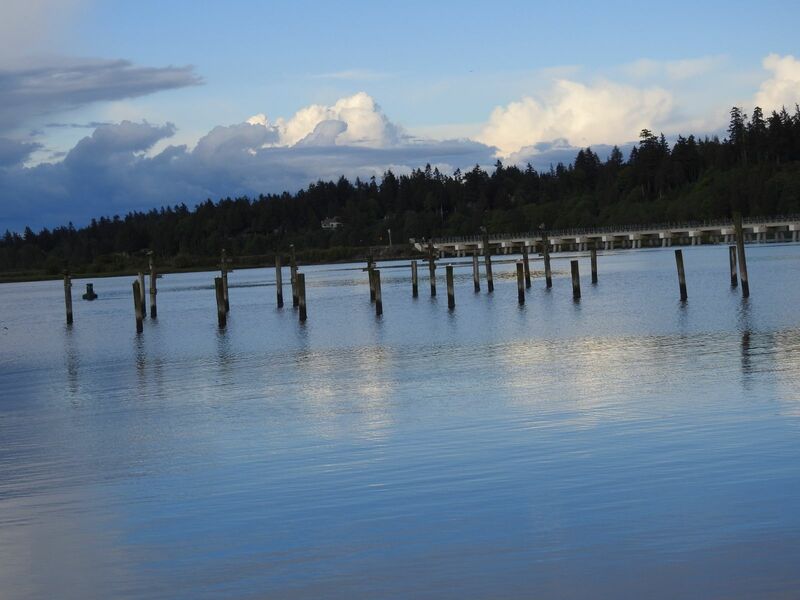 It was a nice evening and the tide was in. I checked to see if the Purple Martins that I'd seen in April were still around. It was a little sparse, but I spotted a few. I could also hear them overhead as they hunted for insects. 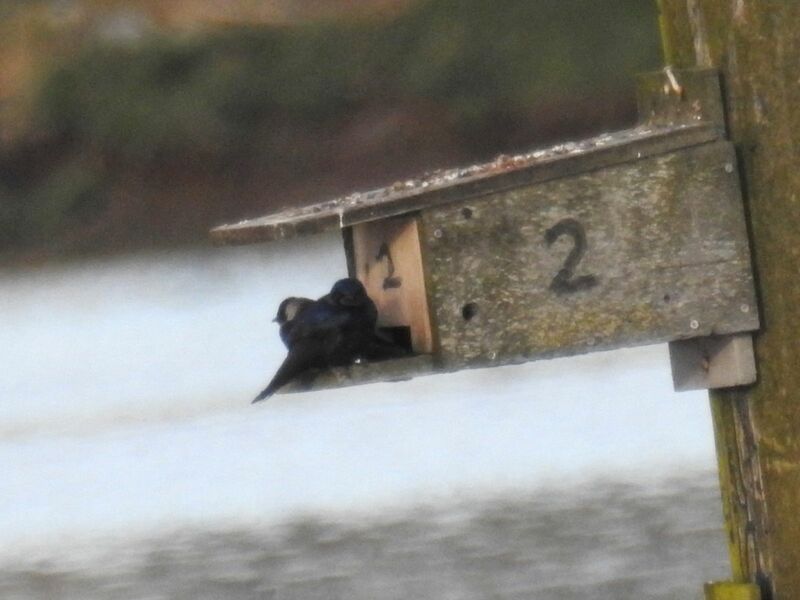 A female was on a nest box, possibly guarding some nestlings. 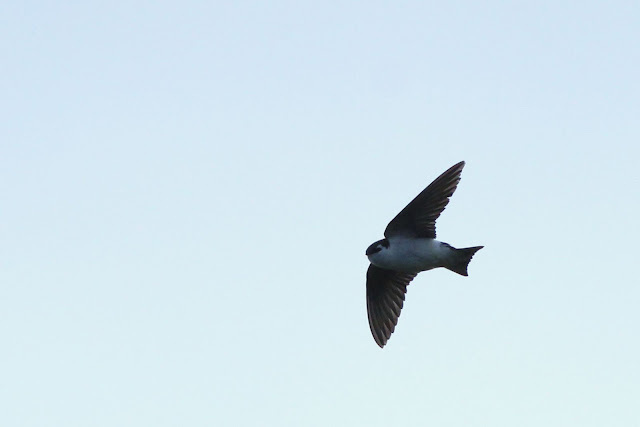 There were swallows overhead as well and I was very lucky to catch a Violet-green as it flew over. 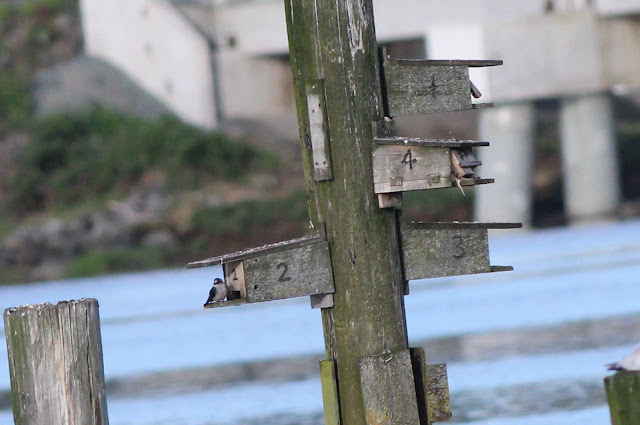 Another long distance photo of the Martins, the male had returned. While looking across the water at the Martins I noticed some movement in the water. 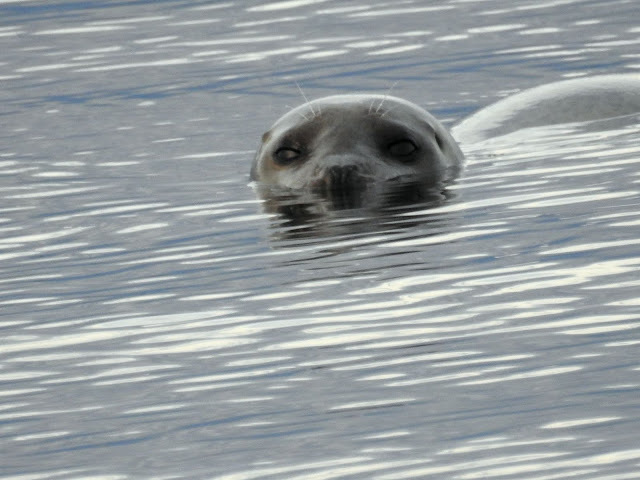 It was a Harbor Seal enjoying the fading light of the day. 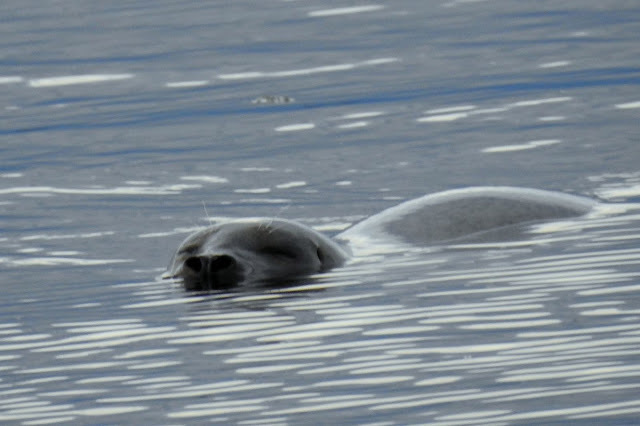 In the next photo you can see the nictitating membrane that protects the eyes when the seal is under water. It shares this adaptation with some birds, such as the American Dipper. This video shows the membrane quite well. It also reflects the tranquility of those few minutes that we shared. It was a beautiful ending to the day.